Snoring has become a burdensome nuisance in the bedroom and many Americans are looking for natural remedies to stop snoring. More than 20 million people in the United States alone suffer from snoring, and that number is said to double in the next few years. Because of the recent spike in snoring, many people are doing whatever they can to stop their snoring or stop their partner from snoring. There are several products on the market that can treat snoring, but if you are not interested in buying another ‘snoring cure’ that may or may not show results, there are several natural and herbal remedies you can try to stop your snoring. Such remedies include weight loss, adding a daily dose of vitamins to your regiment, using essential oils, and cutting back on your alcohol consumption. Fat generally tends to collect in your mouth and throat over the years. As the fat accumulates in your throat, it actually narrows the air passageway in your pharynx, causing the fatty, flappy tissues to vibrate as the air passes by, thus creating the loud sound of snoring. Some doctors suggest that losing just a small amount of weight – even 10 pounds, could actually be enough to stop snoring altogether. 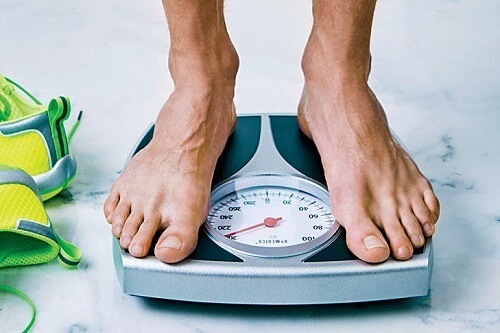 Let’s face it, we could all probably benefit from losing 10 or 15 pounds, right? Take a look at your diet and calorie intake each day and do your best to cut back, even if it’s just a bit, on high fat and high-calorie foods in order to shed a few pounds. You will be amazed at what a difference it makes during the night. Plus, you’ll automatically have more energy, not only from the weight loss but by getting a good night’s rest once you stop snoring. Magnesium is a popular vitamin that is commonly taken to help with snoring. When Magnesium is present in your body, you are able to relax easier, fall asleep quicker, and remain asleep for most of the night. Magnesium is a natural blood thinner, and when your blood is thin, it’s actually easier to pump through your body. Therefore, it creates less energy and is not a stress on your body, as opposed to pumping thicker blood. Magnesium may not have anti-snoring effects on everyone, as it can work differently in everyone’s body. However, since magnesium is a calming and relaxing vitamin, it is said to keep you in a relaxed state while you sleep. When you snore, you actually do not enter a deep sleep because you can wake yourself up from snoring. You could even wake yourself up hundreds of times throughout the night if you suffer from sleep apnea, which is a serious sleep disorder. 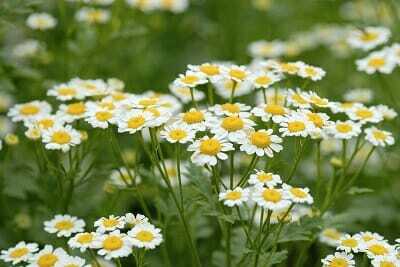 e chamomile plant is a member of the daisy family. It has several herbal properties that can soothe anxiety, decrease inflammation, and help with insomnia by inducing sleep. Like magnesium, chamomile tea can help prevent and stop snoring because it promotes a sound sleep and relaxes the body. By reducing inflammation, chamomile tea can also expand the airway in the throat if your fatty tissues and throat muscles are inflamed, which may be causing the obstruction in your airway that results in snoring. Many people drink chamomile tea, but you can also clip trimmings of the plant and steep the flowers in boiling water or in a bathtub – then inhale the fruity fragrance. Melatonin is actually a hormone that is produced in the brain. Melatonin is responsible for monitoring your natural sleeping cycles. It’s released out of your glands and into your body in the evening time and creates the sense of drowsiness or sleepiness you feel right before bedtime. It then tapers off throughout the night and into the morning, causing your body to naturally wake up in preparation for the day. Melatonin can be taken in a supplement form and is usually taken by people who work night shifts or suffer from insomnia. It’s ok to take melatonin in small doses, but should not be used regularly or given in large doses, as the brain may actually stop producing melatonin altogether. Some people who take melatonin for snoring claim that it does indeed stop their snoring. The relaxed and sleepy feeling that one gets after taking melatonin seems to relax the throat muscles and open the airway so that snoring does not occur at night. Thyme is well known to have healing properties used to fight respiratory issues. If you experience congestion, deal with seasonal allergies, or have another respiratory issue that may be the cause of your snoring, you may want to diffuse thyme oil. Thyme oil can be placed directly around the base of your nose, but it must be mixed with another carrier oil such as coconut oil or jojoba oil. If it’s used directly on the skin, it could cause irritation. Eucalyptus oil is another great essential oil to help you stop snoring. It’s a natural decongestant and has a beautiful fresh scent. Eucalyptus oil helps clear your nasal cavity and your airway down your throat to promote normal breathing throughout the night and reduce snoring. 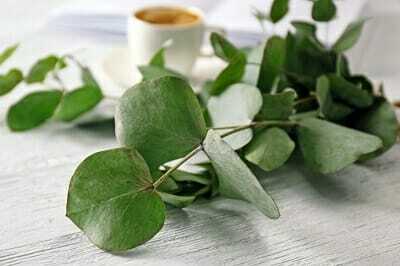 Eucalyptus oil can be diffused but it’s commonly used by adding several drops of oil to hot water and then breathing in the steam that is produced for several minutes. It will immediately open up your airways. One easy solution to stop snoring is to simply sleep on your side. When you sleep on your back, your tongue relaxes and collapses at the base of your throat. This causes an obstruction in your airway. When this occurs, it’s difficult for oxygen to pass down your throat, so the tissues in your throat actually start to vibrate because the air is forced to find a way down the passageway. This vibration creates the loud and sometimes annoying sound of snoring. Try tucking a pillow behind you as you sleep on your side. This will keep you from rolling over in the middle of the night onto your back. This is sometimes the easiest and most effective way to stop snoring, so give it a shot tonight! Consuming alcohol is a great way to set your body up for a loud night of snoring. Alcohol is a depressant and relaxes the body. In fact, it relaxes you so much, that it causes your tongue to relax in the back of your mouth – this obstructs your airway and causes the vibration and sound of snoring. If you are going to be drinking, limit your drinks to 1 or 2 maximum at night so that your tongue and mouth muscles do not relax to the point where it will obstruct your airflow at night. As you can see, there are many ways to naturally prevent and stop snoring. Most of these remedies are free or very inexpensive. Give them a try before you move forward with alternative methods to treat snoring, like over the counter products or surgeries.